German engineer Baron Karl Dreiss von Sauerbronn is credited with inventing the first wooden-wheeled bicycle in 1817. His bicycle was first exhibited in Paris on April 6, 1818. While this first bicycle was steerable and looked a lot like today's modern bicycles, it was missing one important component: pedals! Powered instead by the operator's running feet, this model soon gave way to pedal-operated versions. During the 1890s, Americans embraced the newly-invented safety bicycle, whose equal-size front and rear wheels made it easier to mount than earlier high-wheel models. Local bicycle shops, like the Wright Cycle Exchange in Dayton, Ohio, sprang up all over America. Many of these shops sold and repaired bicycles, and some even manufactured their own bicycles. Over the years, the bicycle was continually improved with the addition of rubber wheels, shock absorbers and brakes as well as gear shifters and lighter weight components. A good local bicycle shop can help you buy the best bike for your needs and budget, match your physique with the right size bicycle frame, and most importantly, get a good fitting done. Well-adjusted seat and handlebar heights will enable you to ride comfortably and efficiently, and can help prevent injury to your muscles and joints. Initial setup of a bicycle depends upon the skill of the mechanic. Gears, brakes, and other moving parts must be carefully assembled and adjusted for optimal performance. There is no substitute for an experienced bicycle mechanic; proper assembly and adjustment at the point of purchase is a key benefit that sets local bicycle shops apart from online shops and department stores. A brick-and-mortar bike shop will also tend to stock cycling products that are suited to local terrain and cycling conditions. Shops located in mountainous areas are likely to stock a good selection of mountain bikes and accessories whereas shops located in the Midwestern prairie states are likely to carry more road bikes and hybrid bicycles. Reputable bicycle shops generally offer maintenance and replacement parts such as tires, chains, brake pads and other wearing items. Often these shops have information about where to ride, group rides, and even connections with racing organizations. Developing a relationship with a good shop will go a long way toward your enjoyment of this sport. BicycleShops.us is a cycling resource that features convenient access to state, regional, and local bicycle shop listings as well as online shopping for bicycle parts & accessories. Bicycle shop owners may also be interested in the National Bicycle Dealers Association, NBDA, a non-profit trade organization of bicycle retailers, with ancillary membership from bicycle product vendors and others allied to the bicycle industry. Their stated mission is to aid the growth of cycling by supporting specialty bicycle retailers through research, education, and advocacy. 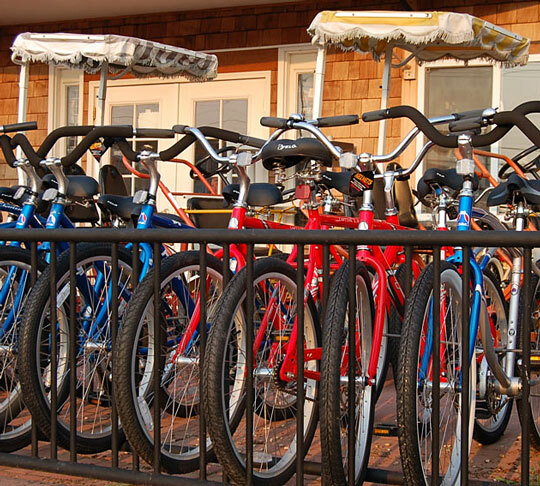 In this bicycle shop directory, you can find a broad selection of local bike shops in each state. Most bicycle stores offer both sales and service; stores that rent bicycles or only sell bicycles are noted as such. Be sure to call ahead before visiting these shops to check their hours of operation, and to verify their location and status. Although we try to keep these listings current, some of the bicycle shops listed herein may have relocated or even ceased operations. This online bicycle shop features a broad selection of bicycles, components, and accessories. This online bike shop offers cycling components, clothing, and accessories. Find cycling safety publications from the US Consumer Product Safety Commission. Visit this award-winning site concerning bicycle helmets and bike safety issues. Find a wide range of frames, components, and tools for BMX bikes, road bikes, and mountain bikes. Find cycling apparel and gifts, bicycle helmets, child carriers, and much more. Browse this bicycle touring guide and directory and learn about group and self-guided tours in North America, Europe, and elsewhere.